Voice studio | and sure stars shining . . .
Dr. Jeffrey Carter, Professor & Chair of the Department of Music at Webster University, announces limited openings for private vocal instruction for talented high-school and middle-school students. Since 1988, Dr. Carter has delivered vocal instruction in classical and musical theatre styles. His students have gone on to perform on Broadway and in national tours (leading roles in Aida, Hairspray, In the Heights, Grease, Molly Brown, and others), perform for several seasons in Chanticleer, and hold professorships in American universities and colleges. One former student is making quite a living in European opera and symphonic performances. Dr. Carter’s students have consistently won competitions sponsored by the National Association of Teachers of Singing. Locally, Carter is currently conductor of the Variety Children’s Chorus, and music director for Circus Harmony. 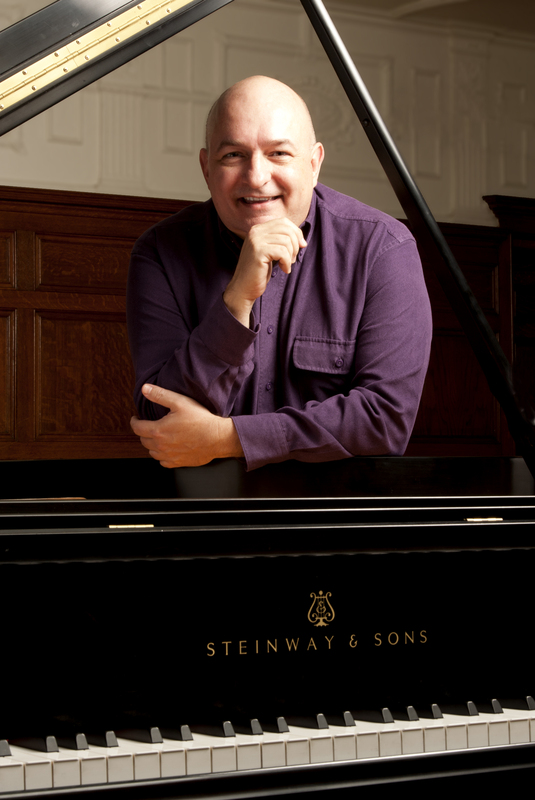 He served three seasons as Resident Musical Director for New Line Theatre. He was also Artistic Director of the Gateway Men’s Chorus for three seasons. The Saint Louis Theatre Critics Circle named him Outstanding Musical Director 2015 for his work with Bonnie & Clyde at New Line. He has additionally worked as Musical Director with The Repertory Theatre of Saint Louis (2016 A Christmas Carol) and New Jewish Theatre (2016 Old Wicked Songs). Carter has sung professionally with the Bach Society of Saint Louis, Saint Louis Symphony Chorus, and the choir of the Church of Saint Michael and Saint George in Clayton. He was named 2011 Best Supporting Actor in a Musical by Judith Newmark of the Saint Louis Post-Dispatch. He was Artistic Director of the 2010 St. Louis International Choral Festival sponsored by the local CVC and RAC. Carter holds the Doctor of Musical Arts degree from the University of Kansas, and a master’s degree in vocal performance from the University of Central Missouri. He is a published author and composer; he has led and produced three CD recordings with groups he has conducted. His current research into American operetta will culminate in a published music anthology currently in production. He is also writing a how-to book about vocal etudes and exercises. To hear Dr. Carter sing, and hear examples of his choral leadership (Gateway Men’s Chorus, all-state and all-district choirs, community choruses, collegiate ensembles)— click here. Dr. Carter’s resume is posted here. Instruction is offered either in Webster Groves at his university studio or by the grand piano in Dr. Carter’s home adjacent to Saint Louis University High School and the Science Center, immediately off of 40/64 at Kingshighway.